October is breast cancer awareness month and it brings to mind the need to give back and include philanthropy as part of a company’s responsibility. While there are many charities with great causes to support, including catastrophic world events, how can you help and how can fundraising be a part of your event planning business. Fundraising is the process of raising money for a cause, charity, or non-profit organization from individuals, businesses, or agencies. Fundraising can take many forms from literally asking for money to drawing money from an activity, a product, event, or form of entertainment. Not all fundraising is associated with charities. Sometimes schools raise funds for extra facilities, or sporting organizations may raise funds to send teams to tournaments. When a charity is the focus of fundraising it is important to raise awareness of the supported cause and benefits of the organization before asking people to contribute. Fundraising events are popular forms of fundraising. While they can be great money makers for an organization, they can also be time consuming and expensive. The success of events depends on careful planning. To help ensure a fundraising event is a winner, you must begin with a purpose. Do you truly require an event to raise funds, or do you merely want to gain publicity and widen your network? The details of the event will depend on having well-defined goals. Knowing what you are fundraising for and exactly how much you need is an essential first step in planning a fundraising activity. Having a specific target helps you decide on the size of the campaign, and gives your group and members of the community a reason to get involved. People like to know their efforts are going towards something specific without the money being swallowed up by administration, or worse, wasted through poor decision-making. Organizations that are successful in raising funds, are those that have become self-sufficient in their day-to-day costs first. Becoming self-sufficient is quite different to fund-raising. It means the organization can cover its day-to-day expenses through a reliable income. In many cases this includes membership subscriptions, community funding, donor support, or long-term sponsorship. How much experience does your group/organization have with fundraising? What resources can you draw on? What relationship does your group/organization have in the wider community? When a fundraising or charitable event is suggested, it is tempting to dash out and start organizing it immediately. While there is something to be said for momentum, it is important to apply a process to the planning of such events to ensure a successful outcome. You need to take the necessary time to evaluate the short- and long-term goals of the event; to check out all available resources; uncover opportunities available to assist with the event before the planning begins. The same approach applies to planning fundraising and charitable events as to any other type of event. Generally the FIVE steps to event planning are: initiating the event; planning; execution; wrap-up and reporting; and applying the lessons learned to future event planning. The difference lies in the end-point. The primary purpose of a fundraising event is to raise money for a cause, charity, or non-profit organization. Many groups and organizations find it difficult to raise money. There are so many ’causes’ confronting the community that people are bombarded everyday with fundraising campaigns. As a result many people are giving more but smaller amounts to each cause; or they are becoming selective over who they support. For this reason successful fundraising occurs when donors perceive maximum benefit is gained from their donations. It is often termed a ‘worthy cause’. Make it easy to donate. Make it even easier to continually donate. Relationships matter. Manage your donors. There are seven pillars of fundraising. Every organization needs to explore which of the seven pillars are feasible, achievable and profitable for their particular organization. This is the practice of funding a project or venture by raising money from a large number of people. The fundraiser usually has a target amount they want to raise. Donation-based crowdfunding is when people give an online donation or pledge. Reward-based crowdfunding offers an incentive or reward according to the contribution made. Donations are not only money given, but also resources, contributions towards expenses or saleable items. Money donations are often made on an annual basis, especially if donors wish to pledge a set amount each year. Many charities earn a significant income through selling donated clothes or household items given by people in the community. 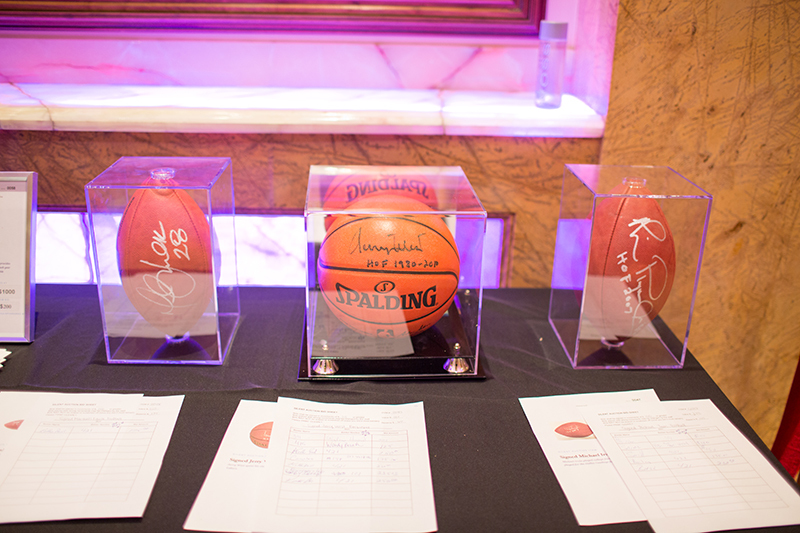 Some donated products are raffled or auctioned. Grants are an important source of funds for non-profit organizations. They are provided by governments, trusts or foundations. Usually the organizations must meet certain criteria to qualify for a grant and applications are necessary. Memberships are designed to foster a sense of belonging among supporters. ‘Friends of’ the charity serve the same purpose. They often require an annual fee that provide a regular source of renewable funds for the organization. 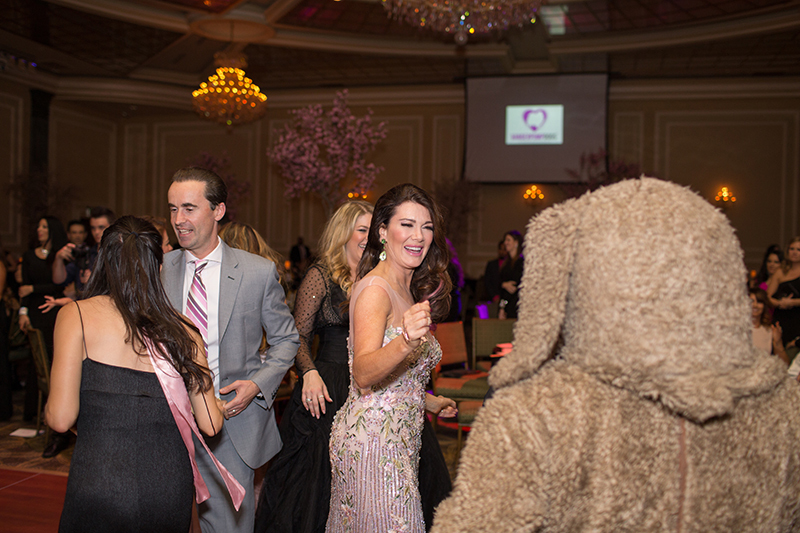 Fundraising events are popular and have become profitable if well organized and managed. They require considerable planning, often well in advance. Common examples are fashion shows, guest speakers, music concerts, dances, festivals, game nights and themed dinners. Selling products or services to raise funds sounds simple. The trick is to think of products or services required on an on-going basis. These products and services should also work as a successful brand for the organization. Common products are greeting cards, calendars, diaries, confectionary and other food items. Services include car washes, dog walking, gardening, or child minding. Sponsorships are usually made by businesses who might provide funds, resources or services in return for rights or associations that may assist the business. An example might be a sponsor paying for all the marketing of a charitable event in exchange for the right to display their business logo at the event. Benefits for the sponsor may be a positive public image or exposure to a defined target market. 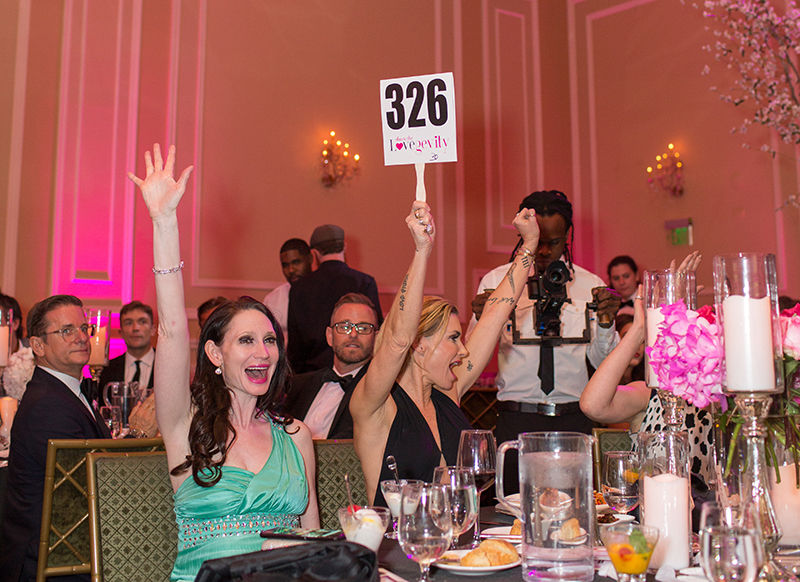 Hosting a fundraising or charitable event requires the same detailed planning as most major events like weddings, and corporate gatherings. The initial meetings will determine the goals of the board members and stakeholders along with the extensive list of tasks associated with the event planning process. It’s imperative the initial meeting occurs with the board members in order to uncover and set all expectations. A donor list is a valuable asset created in the process. The network of the board members and the organizations associates will be the first phase of peer-to-peer fundraising. The old rule of “who you know and who knows you” applies. 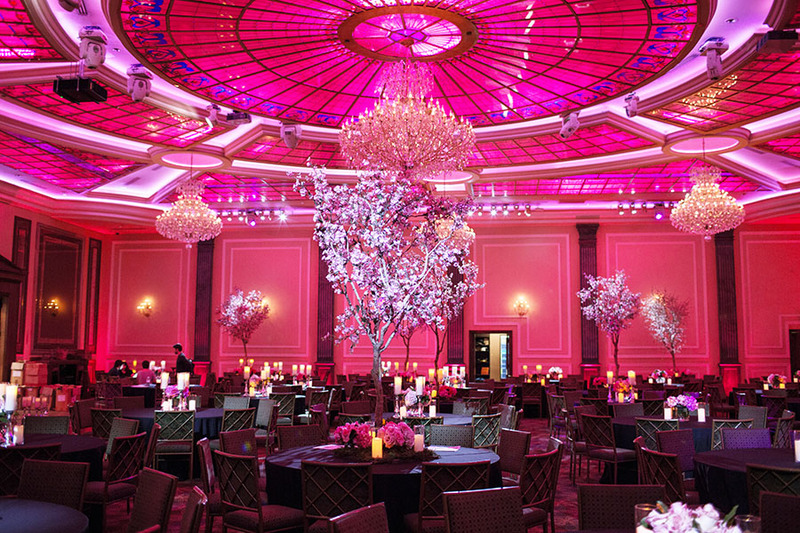 Events have the ability to capture an audience and create an atmosphere of giving for everyone attending. 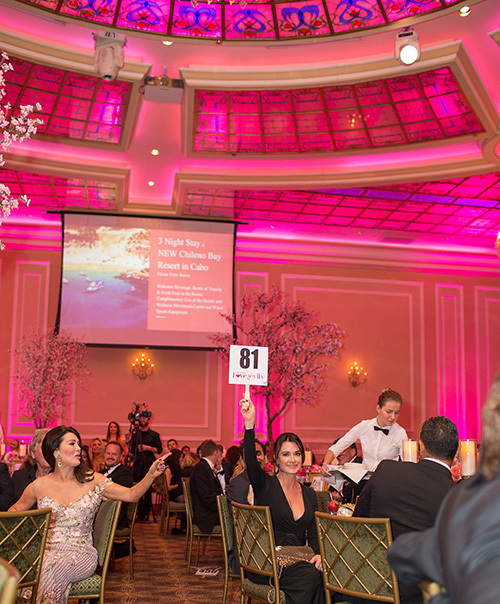 A great example is during a charity gala. Guests arrive excited and inspired to support a cause and in many cases there can be a silent auction going on during the cocktail reception of items donated or curated from professional auction companies. This technique allows everyone to get involved by only donating at a comfortable cash level for each person. As with all events, the atmosphere is an important component to creating an environment of giving. The flow and feel of the event and the attendees’ experience will be reflected in the funds raised once the event is over. 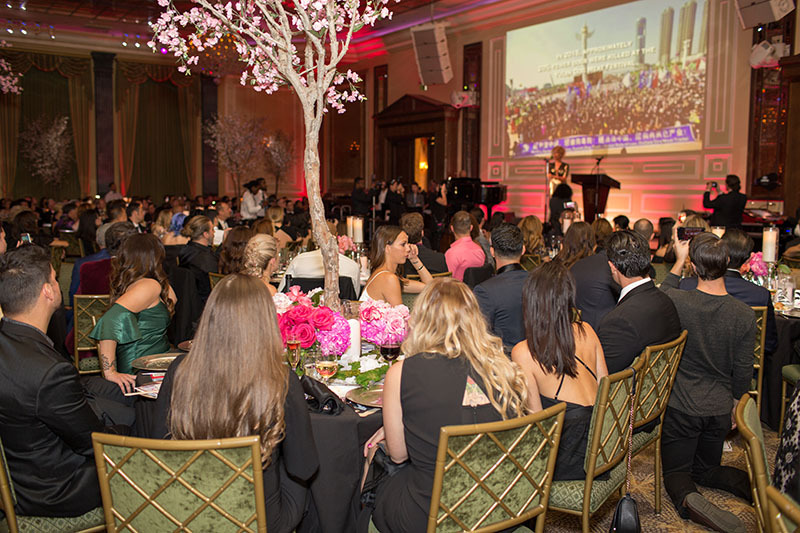 A successful fundraising event has a formula for inspiring guests to join together and support a cause. It creates an environment of fun, entertainment, purpose, and giving for all. It’s never too late to identify a cause or charity that you connect with and volunteer your time and efforts to support the cause. For more information on fundraising and charity event internships and how to get involved, check out our events calendar. Want to learn more about Fundraising and Charity Events? 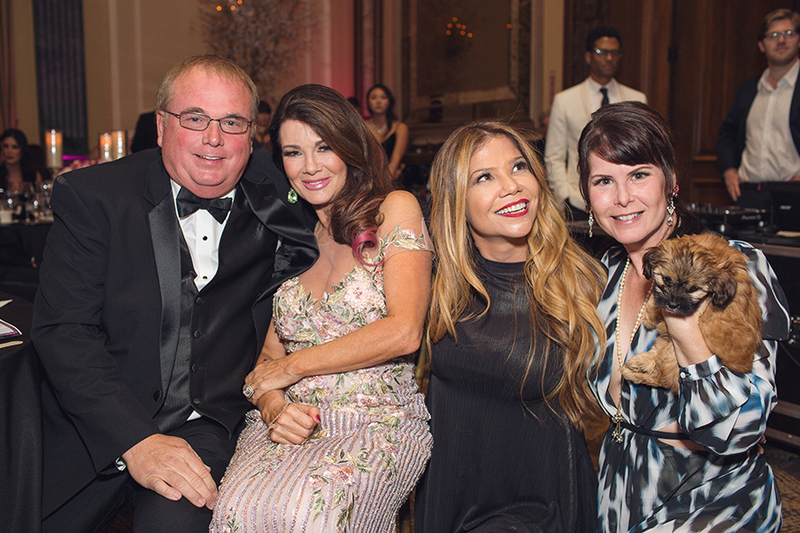 Apply for Lisa Vanderpump’s Dog Foundation Charity Gala Internship Program.